Munira Subasić speaks to us about the work that she and the Mothers of Srebrenica have done to seek truth and justice, both in Bosnia and working with other organisations across the world. The women of Srebrenica have been instrumental in seeking justice not only for the genocide but for all war crimes committed against Bosnian Muslims. 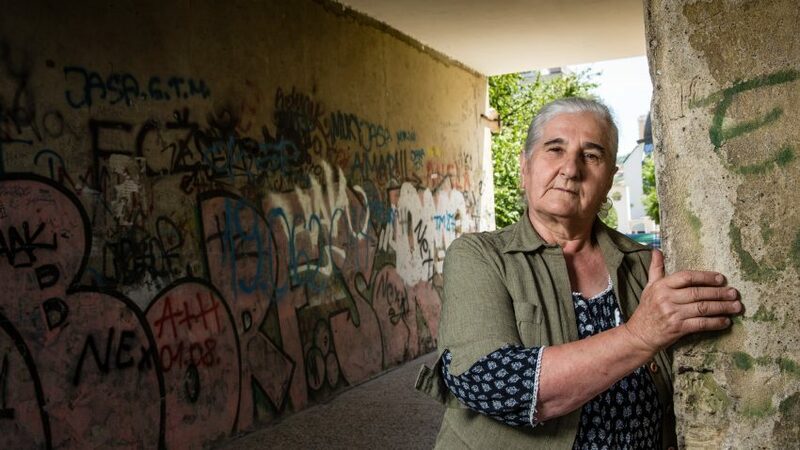 Here we talk to Munira Subasić, President of the Mothers of the Enclaves of Srebrenica and Žepa, about justice after genocide – the successes, the failures, and the work still left to do. Justice is a moment of satisfaction – that we have done something that punishes the criminals and that protects ourselves, that we have made war criminals insecure, that we have protected our remaining generations and enabled them to develop as human beings. Justice is a struggle – for our remaining generation, the struggle for the future, to a life worthy of man. Justice is facing the truth – that all criminals cannot and will not be punished. That the world is imperfect, that perhaps there is no justice, that justice is a message in a bottle in the ocean. Justice is the belief in justice, that justice is attainable and that we can fight for it. Justice is in ourselves – every moment of our work is some kind of justice, because we know that while we are working for justice, war criminals are more and more unhappy and insecure. At the end of January 1996, the women of Srebrenica organized protests in Tuzla demanding to know where the missing men of Srebrenica were. Could you tell us a little about how those protests came about, and their impact? The protests were an act of despair and a way of showing our dissatisfaction with the authorities, who were doing nothing to find our missing. After we held these protests, things began to change in Bosnia-Herzegovina. The work on the search for the missing began, and solutions were found for the refugees from Srebrenica. It was only after this that the authorities realised that they must cooperate with us. We are working together and have started to solve many problems – not completely and not to the extent that is necessary – but things have improved. You have personally been very involved in the work of the International Criminal Tribunal for the Former Yugoslavia (ICTY). Can you describe how you came to be involved with the ICTY? Our association has actively participated in, supported and continues to participate in the work of the ICTY. We have been involved in all aspects of the ICTY, from the testimony of our members in front of the Tribunal to our co-operation with representatives of the ICTY in many fields. We are proud of this co-operation, especially when it comes to the investigation of the crime of genocide in Srebrenica. We have an active relationship with the ICTY, as well as with other judicial institutions in Bosnia and in the world. The struggle for justice through the courts forms the main part of our Association’s activities. Many Bosnians have been quite critical of the work of the ICTY. What is your view of the Tribunal? Do you think that the Tribunal has contributed to justice for Srebrenica? Had it not been for the ICTY we still wouldn’t know what really happened in Bosnia. The ICTY was the first body to establish that what happened in Srebrenica was the crime of genocide, and that’s a big thing. That said, we still expect the ICTY to finish their work in a fair and equitable manner. In particular, we expect the ICTY to illuminate the participation of individuals from Serbia in the Srebrenica genocide. You were involved in setting up the Women’s Court in Sarajevo, which was held between 7 – 10 May 2015. What was the reasoning behind setting up the Women’s Court, and who was involved? I am very proud of the fact that I was one of the founders of the Women’s Court. There are still huge problems on the territory of the former Yugoslavia in the administration of justice, and not only when it comes to the prosecution of war criminals. The Women’s Court was set up not only to deal with the past but also to deal with the present, our women’s reality, and to protect women in the future. It created spaces where women could testify about violence, both during the war and in peace, both in the private and public spheres. By forming the court, we connected with women at the global level and opened pathways of cooperation and solidarity. This was the first female court in Europe, organised by women, for women. It was organised by ten women’s groups from the former Yugoslavia, and co-ordinated over the last five years by the Women in Black in Belgrade, led by Stasa Žujević. The Women’s Court has been praised by experts as being groundbreaking and innovative for putting the victims in the heart of its work. What was your experience of the Women’s Court? We all took the institution of the Woman’s Court very seriously – it has become part of our everyday life and living. It has given me a new dimension in my fight for justice. It feels good to know that everywhere in the world there is a mother, a sister, a wife who understands me and to whom I can turn. Most importantly, the Women’s Court allows us to cover every aspect of the potential endangering of women. This is our biggest achievement. What do you think that the impact of the Women’s Court has been? I think that the establishment and work of the Women’s Court has significantly strengthened civil society. It has encouraged joint work and solidarity between women. Through the work of the Women’s Court, women have become the subjects of justice, encouraged to create different legal practices and influence institutional legal systems, independent from political influence, the influence of the state or anyone else. We received additional support to more clearly and boldly go public with our traumas and problems and this has intensified the pressure on local and international institutions for the protection of our rights. The Court is a modern-day institution that has enabled us to present our current problems, which is very important because all the harms of the past are being experienced through modern-day problems and traumas. 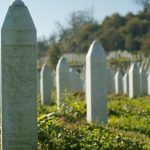 What more do you think needs to be done to deliver justice for Srebrenica? A priority should be to stop the denial of genocide in Bosnia and Serbia and to stop the glorification of war criminals. I have launched an initiative that an inscription should be made at the the entrance to the Memorial Centre, saying that those who enter into the center acknowledge that the crime of genocide occurred in Srebrenica, and that they will stay committed to fighting genocide anywhere in the world. This will avoid the situation where genocide deniers like Aleksandar Vučić, Prime Minister of Serbia, are welcomed to the Memorial Centre. Everyone will be notified what their entry into the memorial means. It is also our duty towards our loved ones, dead and alive. The ICTY needs to impose final judgments in the cases against Karadžić and Mladić. I welcome the news of the appeal in Bosnia’s suit against against Serbia, and hope that this will force Serbia to publicly acknowledge its responsibility for Srebrenica. We must find and bury the rest of our missing. Above all, we must fight to prevent Srebrenica happening ever again. There are those who would seek to reignite old divides. We must never stop reminding them, or the world, of Srebrenica.